Amy has been in the financial services industry for 8 years. As the Resource Manager of Coastal Wealth, she works directly with the leadership team to communicate, promote, and help design the firm’s vision and strategies in relation to recruiting, onboarding, marketing, and training. 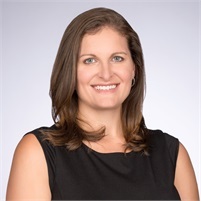 In addition to this, Amy works as a liaison for the advisors and teams in the firm to ensure the best use of services and that the highest quality of support is delivered to further expand their practices.